If you are looking for a healthy and natural way to help you cut down some pounds from your body weight, you may have been advised to take a fiber supplement. Of course, the best way to lose weight is by controlling your diet and exercising regularly. You should make sure that the total calorie that you eat daily does not exceed the amount of energy you burn per day. But you can further enhance the process by consuming a fiber supplement. Fiber has been scientifically proven to help in weight loss. 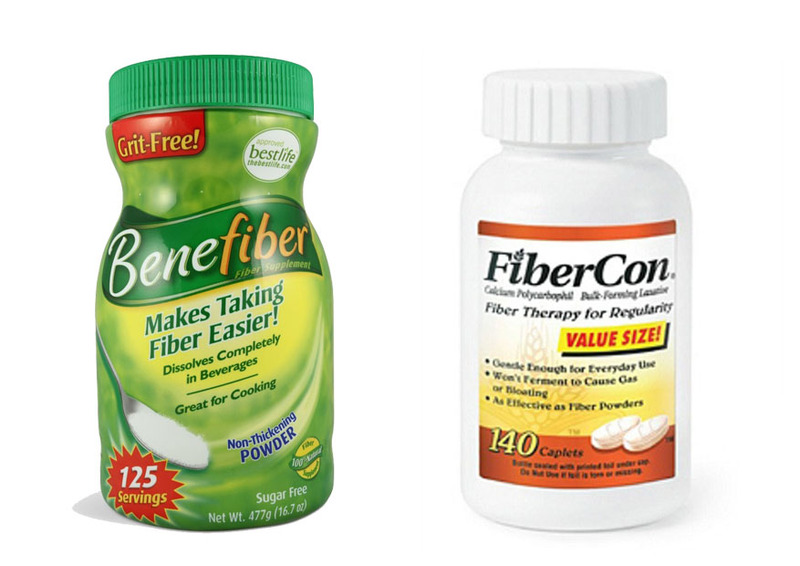 Two popular fiber supplements for weight loss that are currently very popular are Benefiber and FiberCon. In the article below, we are going to see why fiber is important for the body and can be beneficial for weight loss, as well as the comparisons between Benefiber and FiberCon in terms of ingredients, effectiveness, and possible side effects. Take a look: Benefiber vs Citrucel. Fiber is a very important part of a healthy balanced diet. Regardless of your body weight, you should consume enough fiber every day. Children should consume about 15 grams of fiber daily, whereas adults should aim for at least 30 grams of fiber a day. Even so, if you have a digestive disorder like irritable bowel syndrome (IBS), you may need to modify the amount and type of fiber that you eat. Fiber can help prevent diabetes, heart disease, and some types of cancer. It also maintains the health of the digestive system. And fiber can help you reduce your body weight through one and another ways. Viscous soluble fibers such as psyllium and glucomannan are able to form a gel-like substance that slows down the emptying of the stomach, increasing the time required to digest and absorb nutrients. The effects, besides enhancing the quality of nutrient absorption, are a prolonged feeling of fullness and a significantly reduced appetite. In addition, fiber is also known to be able to bind fats, thus reducing the amount of fats getting absorbed by the body. However, if you need to increase your fiber intake, you should make sure that you do it gradually. A sudden increase of fiber intake may make you feeling bloated and may even cause stomach cramps. You should also drink plenty of water. You should drink about six to eight glasses of water a day, and more if you are exercising or the weather is hot. As a matter of fact, these two products are using very different ingredients. Despite using the word “fiber” in their names, they are actually made for very different purposes. 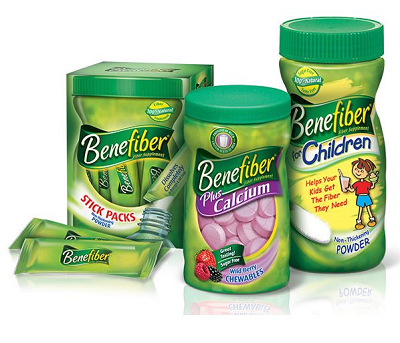 Benefiber uses 100% natural fiber. It is taste-free, sugar-free and totally soluble, allowing you to put it inside non-carbonated drinks and soft foods. It is made from wheat dextrin, which is beneficial for regulating the digestive system, increasing micronutrient absorption, stabilizing blood glucose levels, and lowering serum lipids. Benefiber is also a prebiotic fiber; it nourishes the good bacteria in the digestive system to support the digestive health. Each serving contains about 3 grams of fiber. On the other hand, the primary active ingredient of FiberCon is calcium polycarbophil. Each caplet has about 625 mg calcium polycarbophil, equivalent to 500 mg polycarbophil. Unlike Benefiber, which uses a natural fiber, polycarbophil is a synthetic fiber designed to increase water absorption into the intestines. It helps to create a softer and bulkier stool that can be easily passed by the body. Each dose provides approximately 4 grams of fiber. Benefiber is designed to be a daily fiber supplement. It uses a natural fiber, which is good. As explained above, it mainly offers good benefits of fiber, and let’s not repeat them altogether. However, even though it is made mainly for daily fiber intake, it can also help you reduce your body weight through the mechanisms explained before. By filling your digestive tract for a longer time, it can reduce your appetite, thus reducing your calorie intake. It can also absorb some lipids a.k.a. fats from the foods you eat. Well, don’t expect a very dramatic change. You will find that upon consuming Benefiber, you don’t get hungry way too often. But controlling what you eat and exercising are still responsibilities to lose weight. On the other hand, FiberCon is more of a laxative fiber. It is designed to promote bowel movements. It helps to treat diarrhea and constipation, and it is usable by IBS patients. However, it is primarily used to relief occasional constipation and not really for regular consumption. It is not the best option for weight loss; using any kind of laxative is not the ideal way for weight loss. It will simply throw away most of the foods that you eat, and excessive usage may screw your body’s nutritional balance. As mentioned above, a sudden increase in your fiber intake may cause bloating and stomach cramps. With either product, make sure that you drink enough water to prevent the fiber from expanding before it gets to the intestines. If you don’t drink enough water, there is a possibility that a fiber supplement causes choking. The fiber dose of Benefiber is not high, so just follow the directions and you most probably will not find much of a side effect. Some possible side effects include discomfort, nausea, stomach upset, and diarrhea. Taking too much of it may also cause gas and constipation. You should also consult with your doctor if you have gluten intolerance (Benefiber uses wheat dextrin, which contains gluten) or celiac disease. 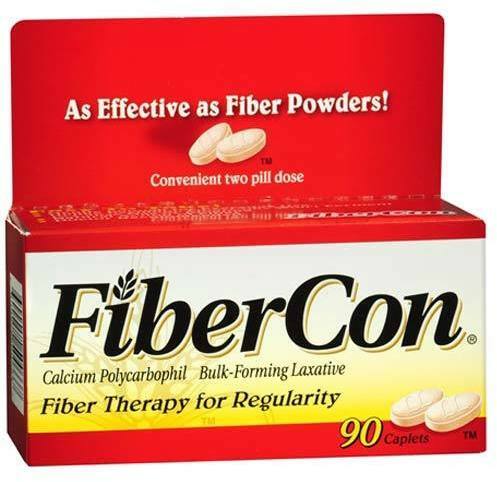 FiberCon may also cause bloating, gas, or mild stomach pain. Since it is a laxative, it may cause a lot of gas and make you go to the bathroom often. More adverse possible side effects include vomiting, chest pain, and rectal bleeding. Benefiber and FiberCon are designed for different purposes. Benefiber is suitable for a daily fiber supplement, and it can help your weight loss efforts by reducing your appetite. On the other hand, FiberCon is more of a laxative, designed to treat constipation, and not really for regular consumption.